This sauce is called a remoulade in New Orleans, but if you’re not so French, it’s Sriracha Mayo, which I guess isn’t any easier to pronounce. Many restaurants use it on hamburgers, fish tacos, and as a dip for french fries. It’s easy to mix up at home, and will liven up homemade hamburgers as well as burger and fries from fast-food restaurants. 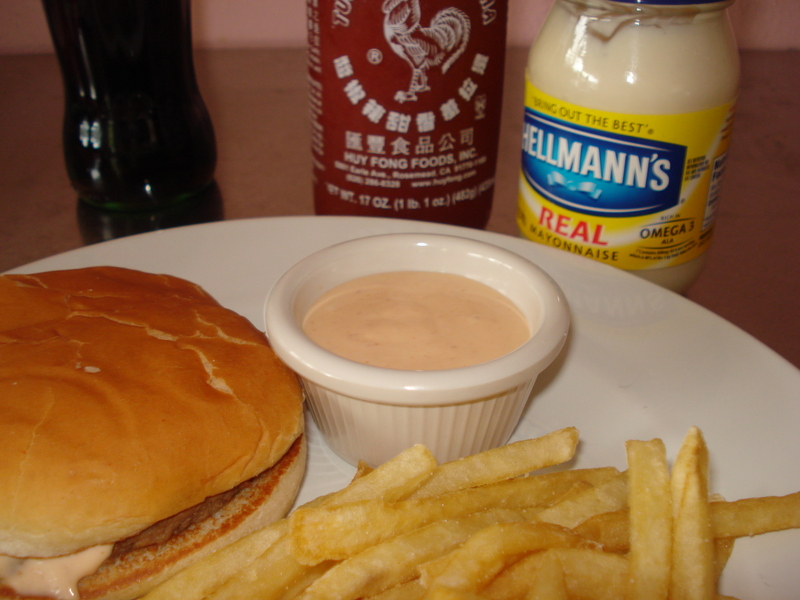 — Mix the mayonnaise and Sriracha until smooth, then stir in the vinegar.